Several days ago we finished our 9 week Alpha course. Our ECO Cohort challenged us to implement the series as part of our strategic plan. As a result, we’ve seen the Lord most graciously bring much fruit! We together marked many “firsts” for CPC including the entire congregation’s participation in 9 consecutive weeks of small groups. Many members and our staff poured themselves out in weekly logistical preparations including incredibly diverse and delicious breakfasts. Other vital ministries here at CPC most graciously took temporary “back seats” in order to allow us to be “full-court press” Alpha. Prayer undergirded us as we invited people to be in daily intercession and expanded our prayer ministry. One Sunday, alone, we received 33 requests for prayer. Our average weekly attendance was 275, over 20 people more than our numbers for this time in 2018. We welcomed 45 first-time visitors. 18 have attended regularly over the Alpha series. At least 5 adults will be baptized by June. Over 150 people were mobilized and active in our hospitality ministry. 56 covenant partners received dedicated Alpha small group leader training. God led us to introduce a weekly Lenten midweek service to provide additional opportunities for worship. Our average weekly attendance has been 83 people. These numerical indicators are a reason for giving thanks! But, even more, we are giving God praise for changed lives. One young man was wrestling with the question: if a person experiences being born again spiritually, as Jesus refers to in John 3, how does it impact our day to day struggle with sin? After hearing the first three Alpha talks, another young man realized his need to be baptized as an outward symbol of the inner change that Jesus has made in his life. One woman was so weighed down by the circumstances of her life that she was having thoughts of taking her own life. However, over the past couple of months of attending Alpha, and the support of a dear friend who is a part of CPC, she has found a new hope through experiencing Jesus’ presence in a powerful way. We now all share the “common denominator” of having together gone through an Alpha course. 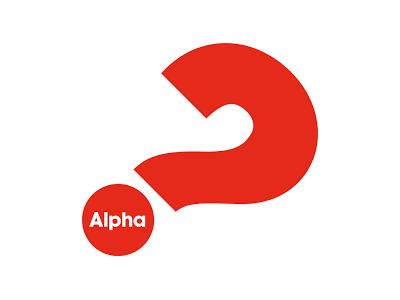 You’ll be able to speak experientially about Alpha as our strategic plan includes our offering future Alpha courses (not during Sunday morning worship). Our prayer is that Alpha will become an ongoing part of the “rhythm” of who we are and what we regularly offer. God continues to show us the ceaseless opportunities we have to become a more inviting church! Just as we have been “found,” so God is absolutely longing for us to JOIN Him in asking and welcoming others into abundant life in Jesus. Will you take up the challenge? Praises to God! Thank you Pastor Rob for this written testimony of His work through Alpha here at CPC. I accept the challenge to ask and welcome others into abundant life in Jesus. Always and Forever – Just One More!